I thought migrating from Nexus to Artifactory would be a seriously painful process but it actually turned out to be quite simple. My biggest concern was maintaining my release history as it would be impractical to try and move hundreds artefacts by hand. The article below describes the process I used. In theory you can import a zip file repository but that is discouraged in the documentation and I suspect it would only work for a very small repository. Once the archive is expanded change into the base directory of the backup and delete .meta, .nexus, .index and archetype-catalog.xml. You can import these files as well but you’ll just end up deleting them from within Artifactory. If, like me, you are importing your releases choose libs-release-local as the target local repository. 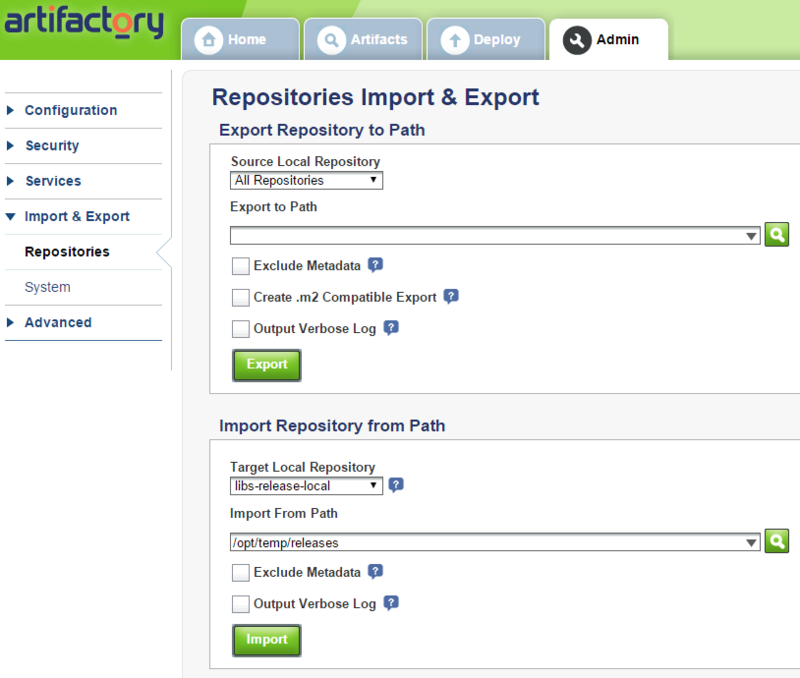 Click the import button and sit back while the artefacts are imported, it takes a while on a large repository. If you switch back to the Artifactory home screen you should now find that there are a few hundred more artefacts available. 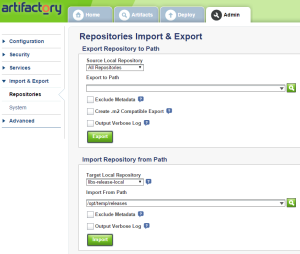 You have now completed migrating from Nexus to Artifactory, at least for one repository. Posted in Java, Linux, Methodology and tagged Artifactory, Java, Linux, Nexus. Thanks, I believe it was a post you made that gave me the basic idea for how do the migration. I Googled for a decent sized logo and that was the first to come up (and seemed to be most popular), I’ll go and have another look.